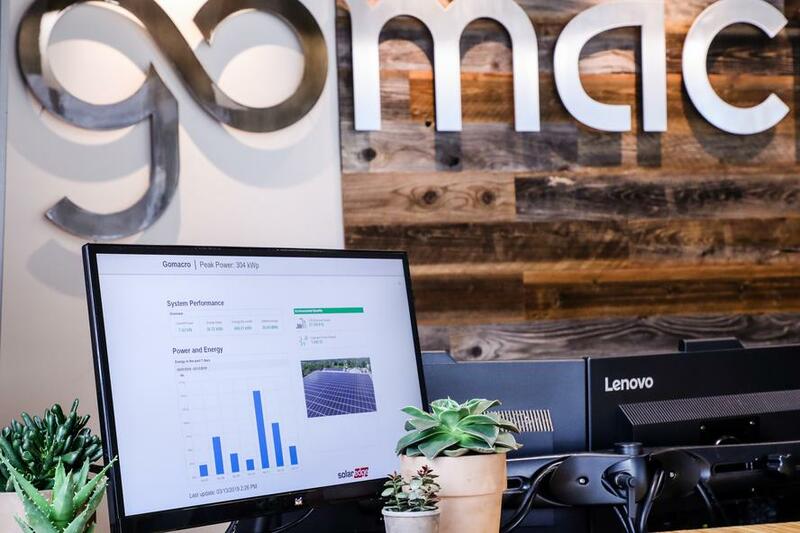 In addition to the 840 new solar panels that were installed, a Daily Solar Meter was added to the front lobby of GoMacro’s new facility. This device displays a live lifetime sum of the impact the solar arrays have on the facility and the local community. The Daily Solar Meter allows viewers to see the production of each individual solar panel, as well as how much energy is being produced and consumed on a daily, monthly, and yearly basis. Any solar energy that isn’t used by the GoMacro facility, goes back to the grid that services the Village of Viola. The motivation behind the installation of the Daily Solar Meter is to share the environmental success of the solar development, and to encourage GoMacro staff and visitors of the facility, to incorporate sustainability into their daily lives.